Maintaining the Campbell standards of accuracy, clarity, and pedagogical innovation, the new 3rd Edition helps students make connections across chapters, interpret real data, and synthesize knowledge. 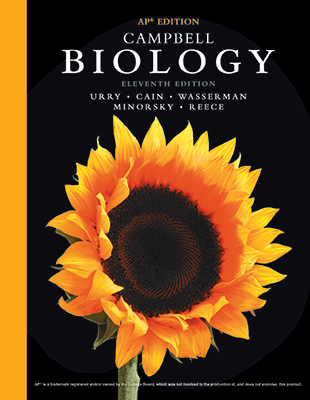 The latest edition integrates new scientific findings throughout and offers more than 450 videos and animations in Mastering Biology, which is embedded in the new Pearson eText. 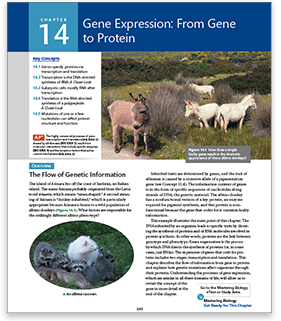 This program fully covers the College Board’s AP® Biology Curriculum Framework and is supported by a wealth of teacher and student materials. Each chapter is organized around a framework of three to seven Key Concepts that focus on the Big Ideas and provide a context for the supporting details. NEW! Visualizing Figures teach students how to interpret diagrams and models in biology. 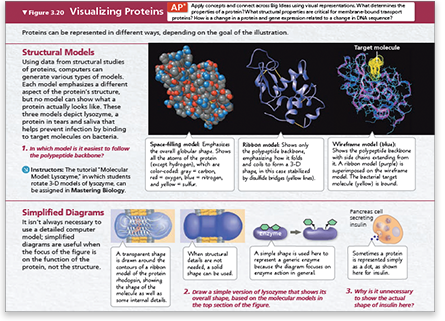 AP-focused questions that accompany each Visualizing Figure help students connect essential knowledge and Science Practices across the Big Ideas using visual representations and models. Scientific Skills Exercises help students master the Framework’s Science Practices by using real data to build key skills needed for biology, including data analysis, graphing, experimental design, and math skills. NEW! Problem-Solving Exercises guide students in applying scientific skills and interpreting real data in the context of solving a real-world problem. Pearson LabBench features 13 online investigation tutorials that retain many of the elements of the original LabBench, assignable in Mastering™ Biology. Designed to prepare students for their lab work and reinforce key biological principles, these pre-labs are correlated to AP® Biology Curriculum Framework Learning Objectives and Science Practices. Mastering™ Biology is the most advanced, most widely used online tutorial and homework program available. 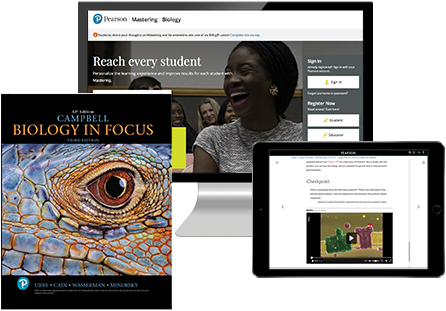 Mastering™ Biology, with Pearson eText, utilizes the Socratic method to coach students through problem-solving techniques, offering hints and simpler questions on request to help students learn, not just practice. Tutorials guide students through the most challenging biology topics and helps them make connections. 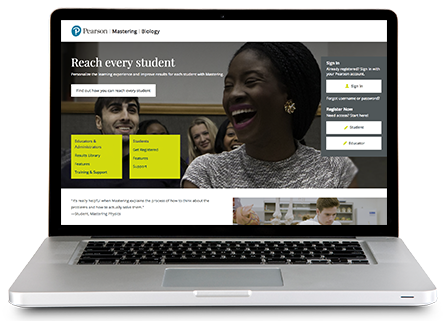 The Mastering system helps teachers maximize class time with easy-to-assign, customizable, and automatically graded assessments that motivate students to learn.